We process & distribute a variety of wild caught fresh & frozen seafood to exclusive wholesale & food service sectors including restaurants, pubs, clubs and fish markets Australia wide. Our retail outlet incorporated alongside our fish processing facility provides the opportunity for us to display and sell a variety of fresh local seafood to the public. The Wild Greenlip and Blacklip Abalone is harvested from the sea floor by hand, by our experienced divers. 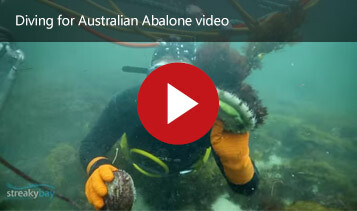 Streaky Bay Marine Product's wild caught abalone is of the highest quality. Streaky Bay Marine Products are proud recipients of the 2012 Advantage SA Regional Award for the Food SA Food Award, for Whyalla & Eyre Peninsula. The Advantage SA Regional Awards are held annually to showcase the achievements of organisations that have made significant contributions to regional South Australia.